I snagged a large bag of Dragonwell when I went to a local Teavana storefront earlier this month (180g at 75% off) due to their Canada-wide store closing. This was the last bit of Dragonwell that the store had left and I was more than happy to take it off their hands. 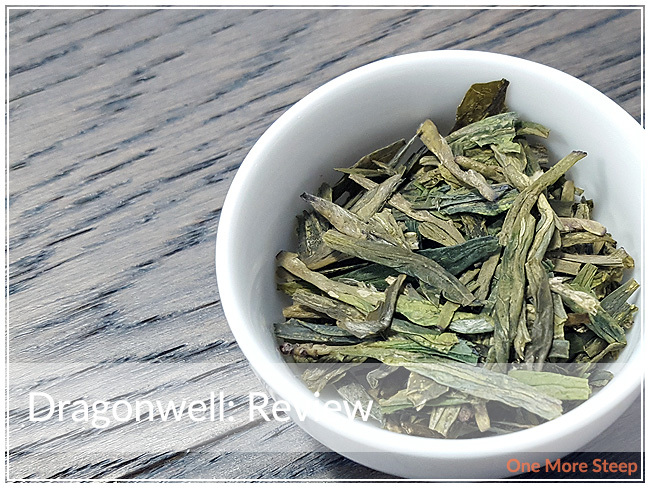 I’ve become a big fan of Dragonwell (also known as Dragon Well, Long Jing, Lung Ching) so I was happy to get a good amount of this green tea. Dragonwell is a straight green tea, with some decently sized pieces. Each piece of dry leaf is pressed and quite flat. The dry leaf has a very soft aroma to it, it’s very subtle and so easy to miss. It smells a lot of dry grass, a bit vegetal at times. The subtly of the aroma of Dragonwell makes it a very unassuming tea. 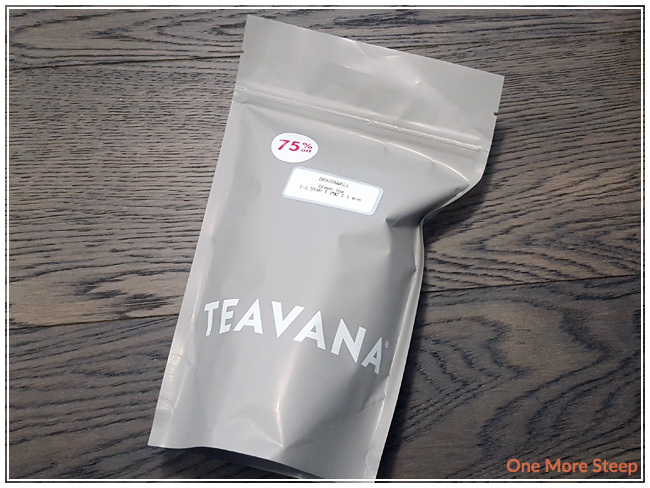 Teavana recommends steeping in 79°C (175°F) for 1 minute. I followed the steeping instructions for the initial steep of Dragonwell. Dragonwell steeps to be very pale after just a 60 second step. 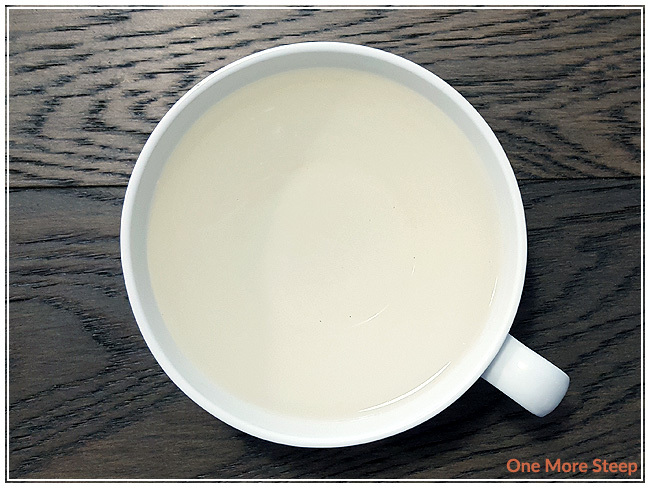 The tea itself is a very pale, clear yellow. It has a light aroma to it that reminds me of grass and vegetables. The taste of Dragonwell is just as it smells – grassy, vegetal. There’s a surprise honey taste at the end of each sip that is quite welcome. There was no astringency noted as I drank this tea, so 60 seconds was a good length of time for steeping. I resteeped Dragonwell four times for a total of five steeps, increasing the steeping times by about 30 seconds per steep. 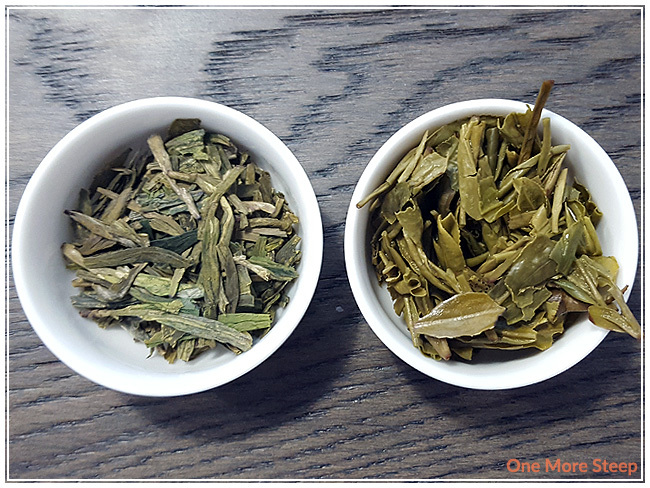 I found that the colour was deepest for the second and third steeps of these tea leaves. The aroma becomes stronger and the taste becomes more bold compared to the first steep. Steep four was beginning to get a little bit weaker while the fifth (last) steep was woefully boring. I would say that Dragonwell was good for three resteeps. I loved Teavana’s Dragonwell. 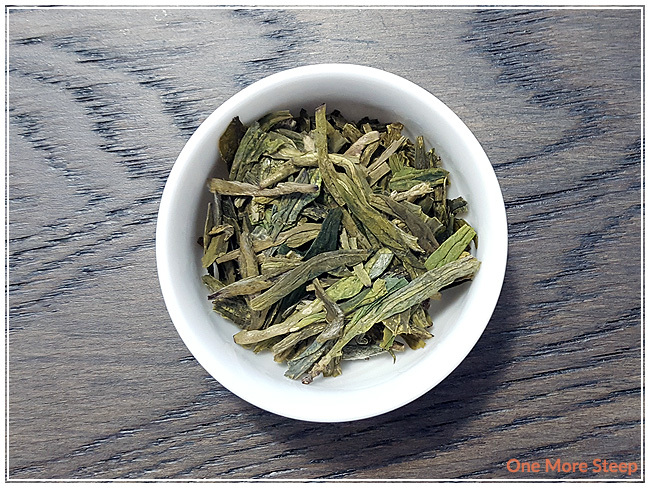 The subtle changes in the flavour profile of this straight green tea are a delight for the senses, and I quite enjoyed drinking this over the course of a morning. It resteeps decently well, and I did manage to get it at a good price (hello, clearance prices), which makes it an even more attractive tea. I’ll be quite bummed out when I run out of this tea (although I suppose it will be a while before I finish up the entire bag). The best part of Dragonwell was the honey finish to each sip.